We really love our new mugs. 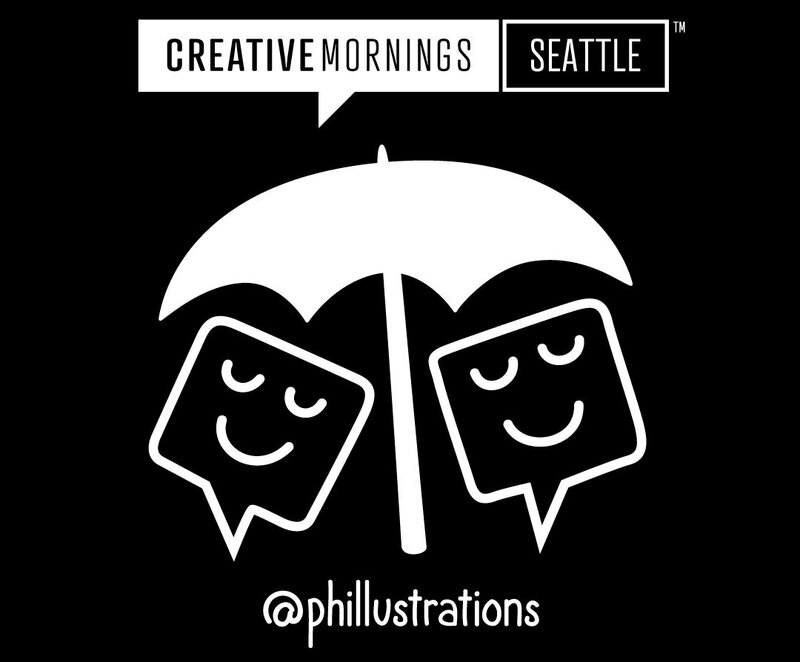 Meet Phil Scroggs he has been helping individuals and organizations solve marketing and communication challenges with creative visual solutions here in Seattle. (A) For many years, I worked as an in-house graphic designer for various companies where I was asked to create some occasional illustrated elements. But, I always wanted to do more. So, I left my corporate gig last year to focus full-time on illustration and design. (A) Since I was little, I always loved to draw. When I discovered Adobe Illustrator, I taught myself how to use it and eventually became a software instructor specializing in Adobe programs. I continued drawing for fun, even during breaks and between classes. But, it took me a long time to realize I should be doing this full-time. (A) My work has always been sort of flat and tight - largely influenced by the bright colors and simplicity of pop art. But, I’ve loosened up my lines over the years, and have loved introducing textures into my work to soften the sharp digital edges and make things look a little more natural. (A) Lately, I’ve been enjoying making process videos and Stories for Instagram that incorporate my illustration work. And I’m currently working on some new handmade Christmas card designs. Every year, I carve a linocut block for printing… and eventually turn it into a digital version for my online stores. (A) It seems like every month, there’s a new story of an independent illustrator who has had their work stolen and resold by another artist or web site. I’d love it if there were better protections and quicker responses when an artist finds out their work has been taken or copied. (A) I used to be a juggling teacher. I haven’t done it in a long time, but I’ve still got some juggling pins gathering dust in a closet.